Nokia’s phone section has been acquired by Microsoft completely and during this acquisition process Nokia launched three Android sets. Nokia X as it was named, failed miserably to make a mark in the market. The device ran Android operating system but owing to the on process acquisition of Microsoft the UI of the device turned out to be an awful combination of Windows Phone and Android. But now the company is supposedly working on the design of a top notch smartphone that will run Android. So this new project can be thought of as a comeback of Nokia. However even though Nokia has full freedom to design hardware devices but they have to launch the smartphones through names of other manufacturers as per the acquisition deal with Microsoft. So even if the rumor turns out true we will see the Nokia device camouflaged in some other brand name. The Finnish company recently made a mild noise with its tweet claiming that they would be coming with a reveal on November 17th. 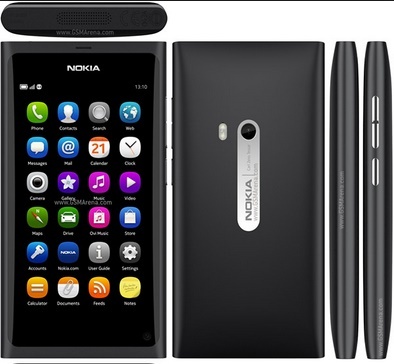 A Chinese report said that Nokia had been working hard on N9 which runs on MeeGo operating system. MeeGo operating system is a simplified version of Android OS with just the basic features. So all these information assimilated is creating a good buzz. We can wait for the right time to know if Nokia is announcing its Android handset on that day. But as we know that not until 2016, the Finland based company can launch another device with its brand name. Let’s wait and watch. i think it’s a good idea to come back with the android. though nokia x not so good as comapred to android phones but now i think some better features and improvement is implemanted. waiting for the new launch.